Alan Shepard (November 18, 1923 - July 21, 1998) was an American astronaut. 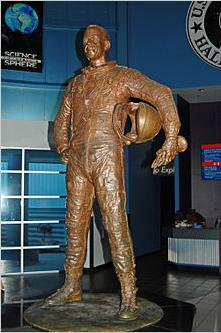 He was the first American to travel into space. He was born in East Derry, New Hampshire. He received a Bachelor of Science at Naval Academy in 1944, graduated at Naval Testpilot School in 1951 and he earned a Master of Arts at the Naval War College in 1957. On May 5, 1961, Shepard flew into space in the Freedom 7 spacecraft. This was powered by a Redstone rocket. He made another space flight as spacecraft commander (person in charge) of Apollo 14. This was the third trip to land astronauts on the moon. The trip lasted from January 31 - February 9, 1971. 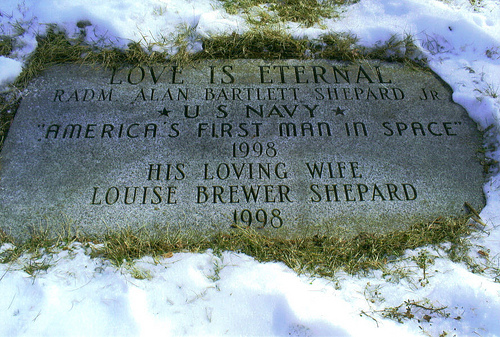 Shepard died of leukemia in Pebble Beach, California. Alan Shepard Facts for Kids. Kiddle Encyclopedia.